St. Kitt’s hottest band, KC 5 comes to Bonaire and takes over Sense. Hank and Goovert do it again in the style locals and tourist have come to love, FULL ON PARTY. KC 5 is well known in the St. Kitts playing at Carnival and Mr. X’s Shiggidy Shack. 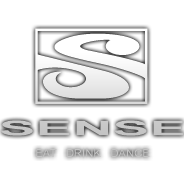 Sense is Bonaire’s premiere party spot so the two together guarantee fun. See you at Sense March 6. This entry was posted on March 2, 2010 at 12:04 pm and is filed under Activities, Culture. You can follow any responses to this entry through the RSS 2.0 feed. You can leave a response, or trackback from your own site.